Join us in sunny LA at the 2016 YJA convention for a weekend of social events you won’t forget! 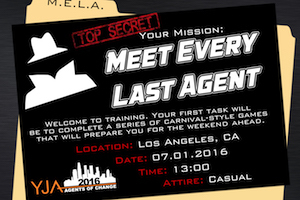 As Agents of Change, your first mission is to Meet Every Last Agent (M.E.L.A) in our carnival-style training modules that will prepare you for the weekend ahead. 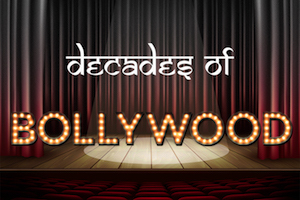 Then join us for our talent competition, Decades of Bollywood, where performers from across the US will showcase their artistic skill and the various eras of Bollywood. 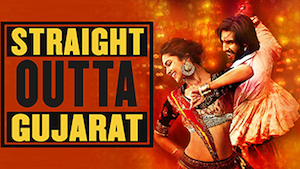 After that, you don’t want to miss Straight Outta Gujarat, where traditional Indian dance meets the classic Los Angeles vibe. 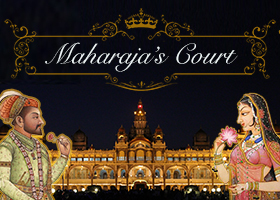 Finally, join us at the Maharaja’s Court Formal for a night of majesty and grandeur. We hope to see you in sunny SoCal this Fourth of July weekend! Picture sparkling jewelry, lavish tapestries, intricate art. Think royalty. Maharaja’s Court will transport you to the luxurious worlds of India’s legendary emperors and empresses, but with a modern twist. Ladies and gentlemen, we highly encourage you to come dressed in Indian reception attire! This means ladies have the option of wearing Indian clothes (i.e. sari, lehnga choli, salwar kameez/anarkali) or long American gowns; men may also don their Indian clothes (i.e. sherwani, kurta pajama) or black tie attire (i.e. suit and tie/bow tie). Get ready for a night of opulence, dance, and fun! Welcome to training! Your first mission as an Agent of Change is to Meet Every Last Agent (M.E.L.A.). Be prepared for fun, carnival-style games that will prepare you for the weekend ahead with the skills and the new friends to make YJA 2016 a success. Dress is casual, and the event will go on throughout the first day, so you’ll have plenty of time to be ready for action! Are you ready to watch Sheila Ki Jawani go head to head with Kuch Kuch Hota Hai? If so, prepare yourself for the talent competition that will span India’s riveting Decades of Dance and showcase the best of what Bollywood and your fellow young Jains have to offer! If you are interested in participating in the Talent Competition, please download the Registration Packet and email the completed version to social.la@yja.org by April 2, 2016. If you have ever wanted to garba in the Hills, play dandiya by the palm trees, or sanedo by the beach, this is the event for you! Look forward to a night of classic fun with a new flair! This event is taking us straight outta Gujarat and adding a SoCal touch! Dress code is traditional garba attire for ladies (i.e. Chanya Choli, Salwar Kamize, Sari) and traditional Indian attire for gentlemen (i.e. Kurta Pyjama, Sherwani, Dhoti/Kurta). Please note that social events are subject to change.